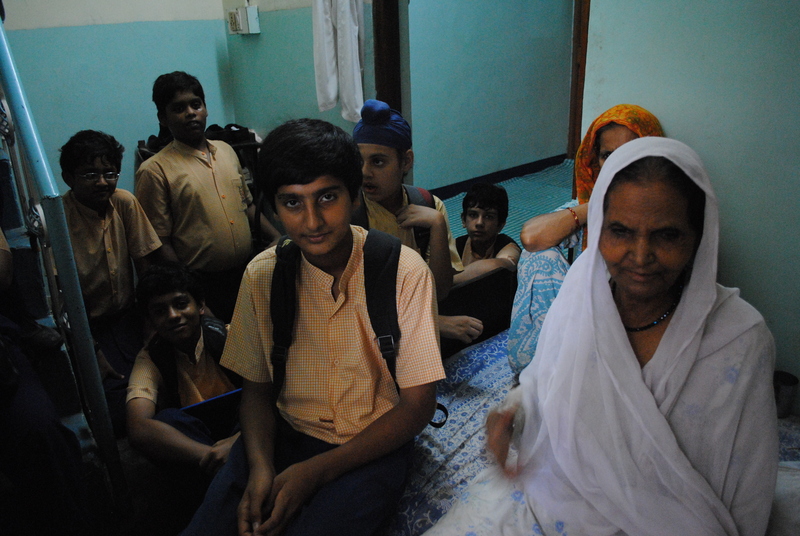 Action Project is an important component of the Community exposure element, under the Sanskriti school Work experience Project currently running by Pravah with 240 students of class IX, which is part of the co-scholastic subject under Continuous comprehensive evaluation (CCE) which is a new system of evaluation in schools introduced by CBSE . It is a program where we wish to introduce the students into a space where they can get an opportunity to receive on the field exposure to issues that concern and worry them within the urban space. And contribute in every little way they can to bring about a change. In the month of December, 240 students of Sanskriti class IX went for their Action project to Four Different communities, the same communities where they had initially visited few months ago, and did a survey upon through informal interaction with the community people, finding out their grievances and issues of concern, to prepare for their Action project. On 19th December 2010 , two groups moved to Nizamuddin Basti and Tibetan Children’s Village, New Aruna Nagar, and on 21st December 2010 , the other two groups went to Jamghat in Jama Masjid and Kusumpur Pahadi a slum cluster in south Delhi. Nizamuddin Basti( Hope Project): Both the students of Sanskrit School as well as Hope project worked together in developing Learning resource aid such as Hindi and English Alphabetical Flash Cards, numerical, fruits and vegetables flash card for the crèche etc. A good number of students were also engaged in cleanliness drive and helping out in plantation .Some of the students were also engaged in a self facilitated group Discussion on different social issues, and were asked to bring out a collage on the basis of their findings during the discussion. Kusumpur Pahadi: Here some of the Sanskriti School students along with the community children were engaged in developing Learning resource material such as, English, Hindi, Numerical, Fruits, Vegetables, and Color Flash Cards. Some of them helped out the community Children in learning Alphabets, songs, rhymes etc. 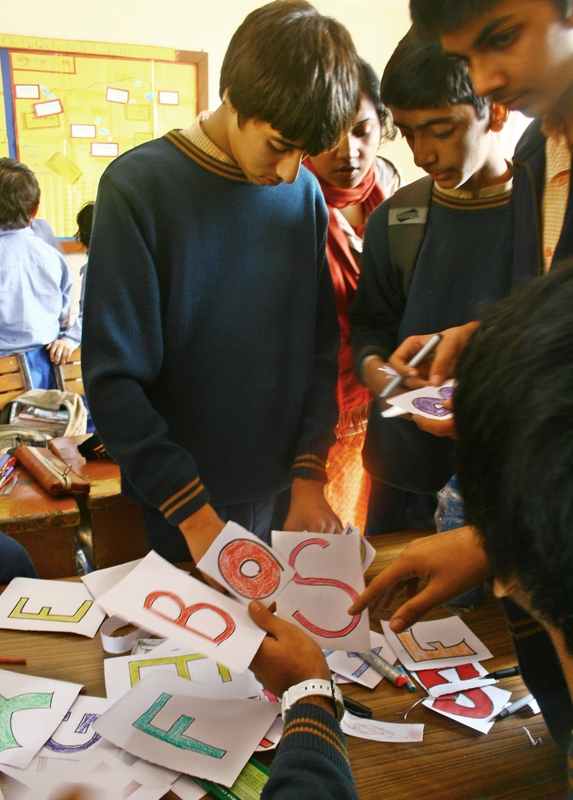 Some group of students moved to the community spaces to campaign for hygiene and cleanliness and developed posters for their campaign. 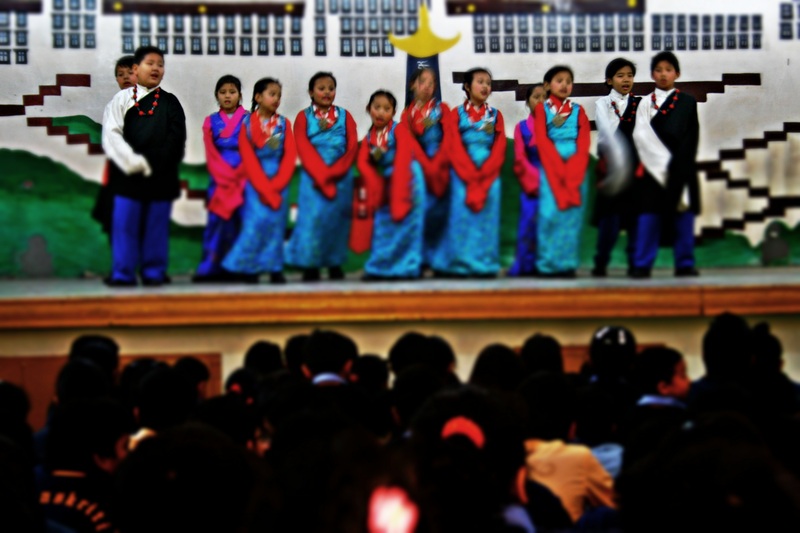 Tibetan Children’s Village (TCV Day School): Here students developed teaching aid such as; Color, Alphabetical, Numerical, Fruit, Vegetable Flash Cards. 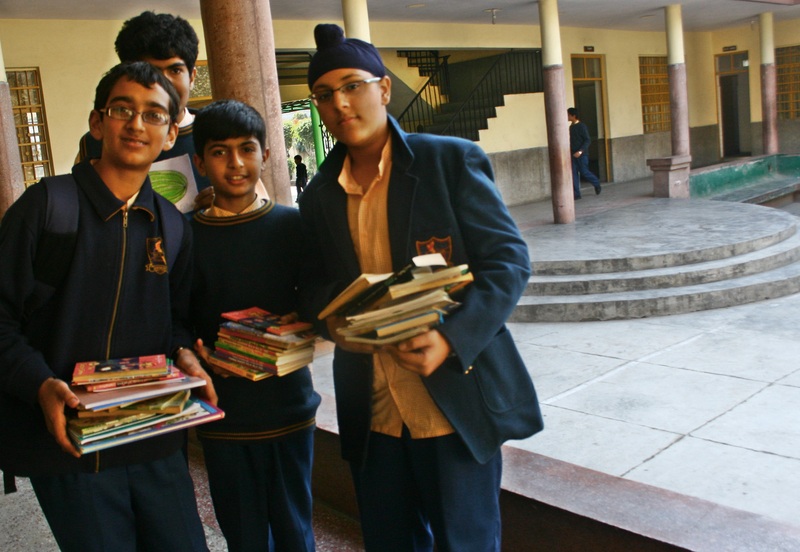 Sanskriti Students had made recycled note books, and collected old books to help set up TCV School’s library. Some of the students also contributed saplings, blankets to the school TCV had prepared a vibrant cultural program, for the benefit of getting to know about each other’s cultures in which students participated with great enthusiasm. Jamghat: Here students developed Learning resource Material such as Alphabetical, Numerical, Fruits, Vegetable, Color Flash Cards, and also interacted with the children of the community. The students were also engaged in teaching alphabets, numerical, songs and games to the community children. FUN Campers at Tilonia Rajashtan! !